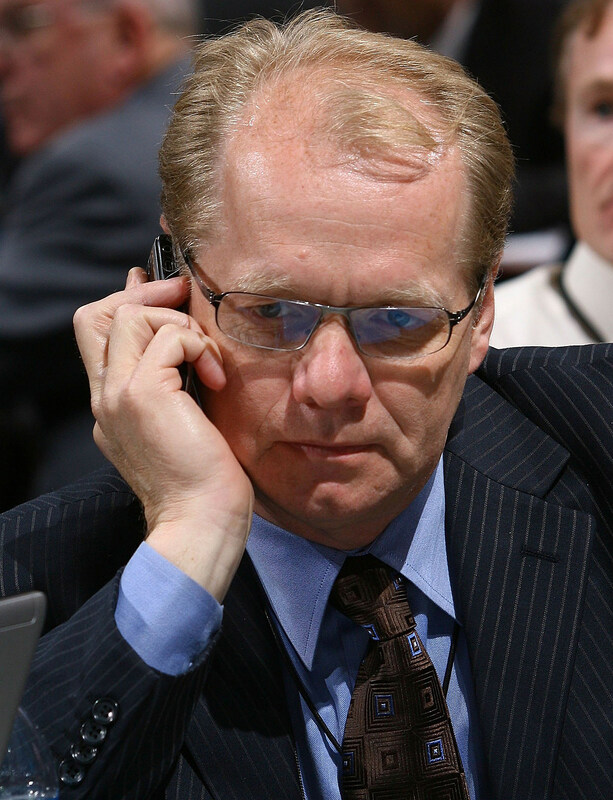 Is it time for Ruff and Regier to move on? The comments made by some players, namely Derek Roy, at Monday’s locker clean out makes me wonder what the shelf life of Lindy Ruff may be. 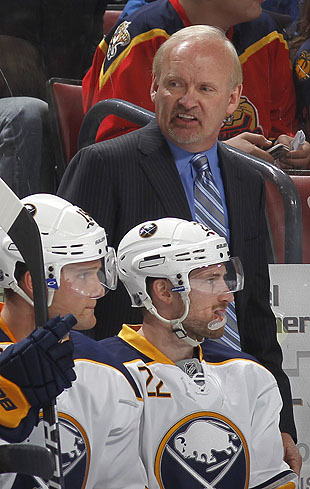 I have little doubt that both Ruff and Darcy Regier will remain in place as the Sabres enter the 2012-13 season. The question that many are asking is should the two remain in charge of the Sabres? Based on their track record over the past decade and a half –particularly since the lockout – I think the duo may be overdue to be replaced with a new general manager and head coach combination. But the organizational heading seems to be to proceed with the current coach and GM while allowing them to find the right players to win games. It is ok if Terry Pegula, Ted Black and the rest of the executive staff think this is the proper course of action. I am glad they have identified a strategy that they wish to move forward with. Whether or not this is the right strategy is a whole different question. I do not disagree with the heading the ownership has chosen to take, I just wonder if Regier and Ruff are indeed the pair to get the job done. There are two facts staring everyone in the face regarding this debate are the Sabres failure to make the playoffs and their failure to win a playoff series. The Sabres have missed the playoffs three times since the lockout and have made the playoffs four times. However, they haven’t won a playoff series since dispatching the Rangers in 2007. Questions about the makeup of the roster, the team’s tougheness and the coaching style would still be questioned had the Sabres snuck into the playoffs this year. In fact, I would argue that the missing the playoffs argument would be moot with a third-straight berth under their belt. Of course they’re not in the playoffs and the balance between missing and making the playoffs remains pretty even. The roster is expected to change this summer, but maybe the management needs to change as well. This summer very well may be make or break for Darcy Regier. He shot for the moon last year but didn’t get the expected results. Regier will have significantly less cap space to work with and will likely need to make a trade or two if he wishes to land a big fish in free agency. With Jochen Hecht and Brad Boyes off the books, Regier will need to find a bona fide checking center to replace Hecht’s defensive responsibility and the traits lost when Paul Gaustad was traded to Nashville. Regier does have four picks in the top 65 selections and could certainly use them to leverage a trade including one of his roster players. Regier needs to identify the shortcomings his team had this year and shore them up immediately. He made a great move in acquiring Cody Hodgson and Alex Sulzer. Sulzer paid immediate dividends and is probably due for a new contract, but Hodgson is the big prize. He is a young, dynamic center who will need to play a big role next year. Regier still needs to find his team a true number one center, but that will be a tall task. Along with adding a little more size an toughness, Regier will need to have another successful offseason, despite operating with fewer resources. As for 2011-12, Regier does get a passing grade in my book. Between the moves he made in the offseason and his actions at the deadline, he continued to take steps forward. That doesn’t mean he is absolved of any responsibility for the Sabres’ struggles, it just means that he continued to work towards improving his team. His biggest failing is the fact that he did nothing until the trade deadline, yet again. Whether or not he had quality offers on the table in December or January is a mystery to everyone but a handful of people. I’m not going to say that Regier had to do something when the Sabres were on that massive skid, but you have to think some sort of action was necessary. You can’t honestly say that he was too timid or slow to act during the middle of the season, it isn’t a fair assessment. You can only draw from what you know and that is the fact that Regier was inactive during a period when the organization needed some sort of shake up. Given that, plus his victories from the summer and deadline, I would say Regier gets a B- in my book for the year. I’d drop it into the C range if the playoffs could be rested on his shoulders. I still think it would be wise to replace Regier with a fresh set of eyes. It just seems like some of the stale results have to be traced back to him in some way, shape or form. He isn’t solely responsible, but after the better half of 20 years, it is time for some sort of change. The man who, perhaps, has taken the most heat lately, Ruff seems to have more and more evidence built against him by players, fans and media. As stated previously, there is no reason to think that the approach from ownership is foolhardy. They want Regier and Ruff in place and are simply trying to get them the right tools. Where I object is the fact that Ruff continues to make the same mistakes that often lead to his team’s failure on a yearly basis without learning from them. If you loaded a scale with evidence as to why Ruff would stay or why he would go, it would probably be fairly even. However, it is probably easier to compile reasons why you would want him out. Whether it be misusing players, mishandling his backup goaltender, riding Ryan Miller into the ground, mishandling his stars, lack of patience with his lines or even the way his special teams operate; there are a plethora of reasons why one may dismiss Lindy Ruff. Frankly, I’m ready for a new bench boss. I have long been a fan of Ruff, I think he is one of the best coaches in the league. In fact, the Sabres would be hard pressed to find an adequate replacement for him. However, the merry-go-round of Ruff’s coaching style has gone around one too many times. He seems incapable of being patient with his lines, he won’t utilize his stars in a way many of his colleagues do and his system (allegedly) stifles offense. Lastly, regardelss of personell, he hasn’t learned how to properly utilize a backup goaltender. As a coach you will live and die with your team. Ruff looked like a genius early on and during the late run, but looked like a fool when the team couldn’t score or win games in December and January. Somewhere in the middle is where Ruff’s grade would truly end up. If Regier gets a B- for his efforts this season (and the offseason) I would have to say Ruff is down at a C, perhaps even a C-. Ruff was able to forge some solid line combinations as the season drew to a close, building a deep attack that was capable of scoring at a healthy clip. He also did wonders with a healthy defensive corps, effectively shutting down a number of top lines down the stretch. I also give him credit for keeping the team competitive despite the absence of his best faceoff man and penalty killer (Gaustad). However, he lost faith in Jhonas Enroth too early and abandoned any sort of goaltending schedule that had been developed. What that led to was a fatigued starter at the end of the year and probably wasting half a season for a young backup. It is likely that he did a number on Luke Adam’s confidence by stuffing him on the fourth line before shipping him back to Rochester, not to mention breaking up a line that was deadly over the first 20 games. Ruff also stuffed players like Brad Boyes and Ville Leino on the fourth line for extended periods of time while also failing to spark players like Derek Roy and Drew Stafford for nearly the entire first half of the season. Perhaps the most telling struggle came from his players. Roy all but bought his ticket out of town by disagreeing with nearly every approach Ruff takes. Other players seemed to be in agreement with the sentiments made by Roy. Many people indicated that Ruff has lost the locker room; it is a complaint that has been circulating for some time. Based on comments made yesterday there is little doubt that this is indeed the case. If your coach has lost the room, you either need to replace the coach or the players. Considering that there seems to be dissent with so many of the top players on the Sabres roster, Regier will be hard pressed to follow through with the latter. Maybe this provides a window of opportunity to strip out a few of the cancers while giving those remaining a new voice to follow. Either way, a decision would need to be made soon. Regardless of the struggles or successes this year, Ruff couldn’t push him team to the next level. Even with all the improvements, this was still a soft team who didn’t play big in big situations. Whether that is an indictment of the coach, GM or both is your decision to make. There is a good chance that Ruff is the rigth man for the job and that he just needs a better cast of players. If that is the case, Regier needs to continue to oevrhaul the roster. I would say the responsibility for this season (and other recent failures) lies with both Regier and Ruff. Based upon that logic, the Sabres would need to replace them before the offseason begins. I feel that the time has come to evaluate this team with a fresh set of eyes. Maybe then the Sabres will elevate to the next level.